I only discovered washi tape last year, and I am so glad that I did! It has to be one of the most versatile craft accessories and a super addition for any party. Washi tape has similar properties to masking tape, it is paper so you can tear it and you can write on it. But the best thing about washi tape is the amazing range of colours, patterns and designs you can find it in! Here we look at a few ways we have used it for kids’ parties. The best example for a use for washi tape is for decorating party packs. Because it is sticky you can use it to seal the box or packet, but that is only a small use of it. Use it for adding to the decorating, make something that could be average, stand out. 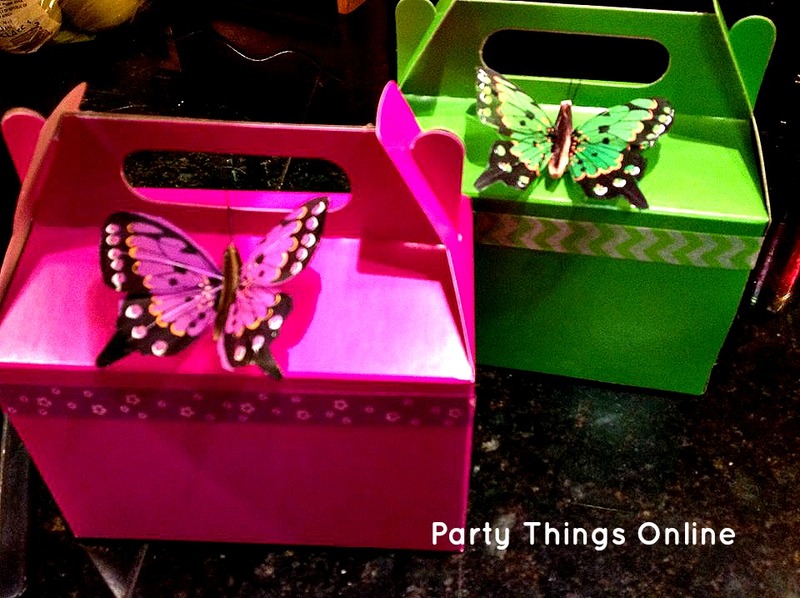 Below we used it to line the edge of butterfly party boxes. 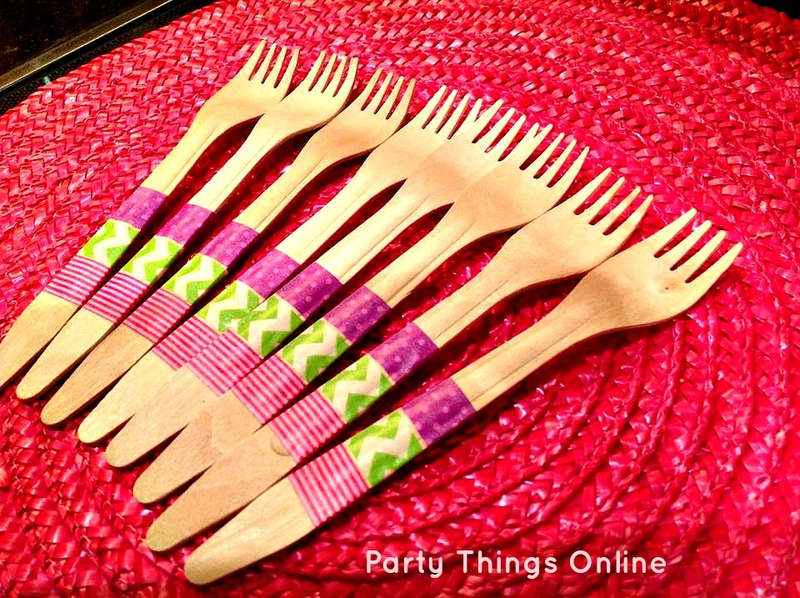 If you don’t want to use your fine silverware at your party, and especially not let the kids near it, but you want to serve the guests with cutlery that looks nice, turn to washi tape. Either for plastic or wooden cutlery, you can wrap some washi tape around the handles in the colours of the theme. Glass bottles are a trend at parties at the moment and served with paper straws, but if you don’t want to buy the little glass milk bottles, you can use recycled baby food jars. 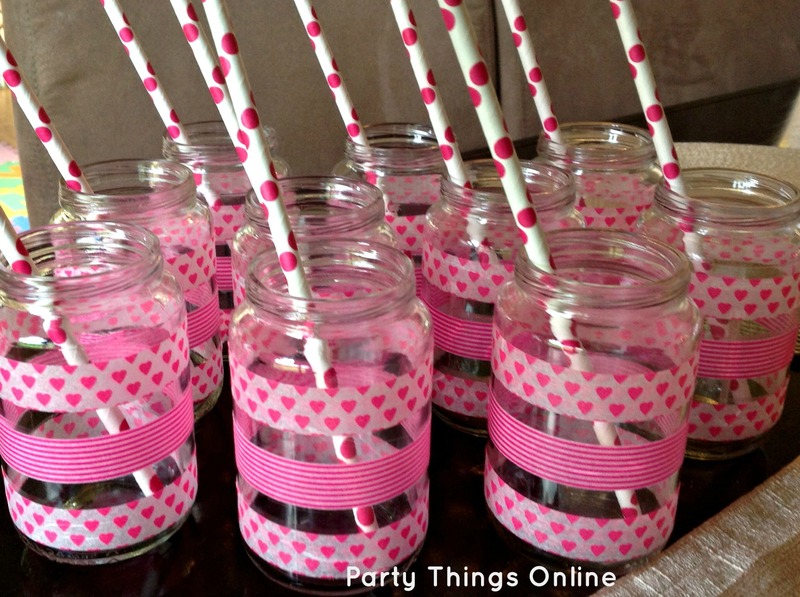 Add some washi tape and get your effect for your party. There are so many different ways to add washi tape to party decor, cards, labels, etc so I have created a Pinterest board to generate more ideas.